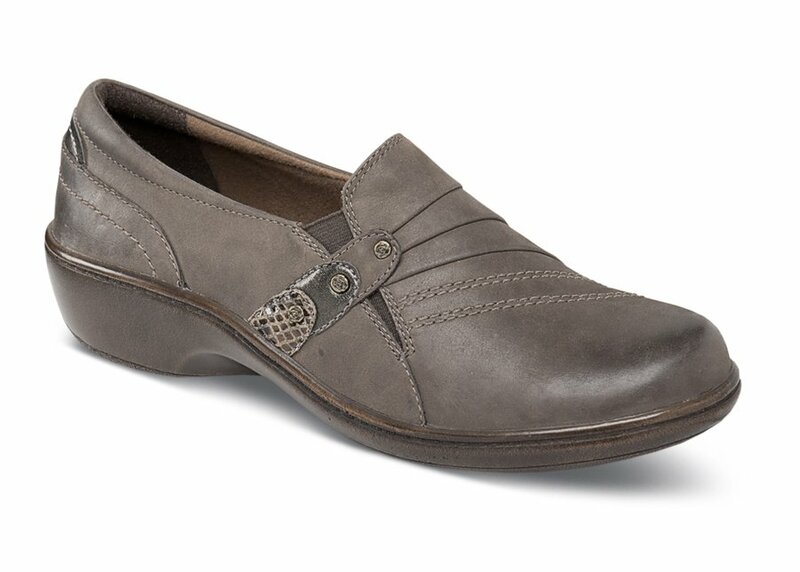 An everyday slip-on with a sense of style is Aravon's new "Danielle" of stone-color leather. 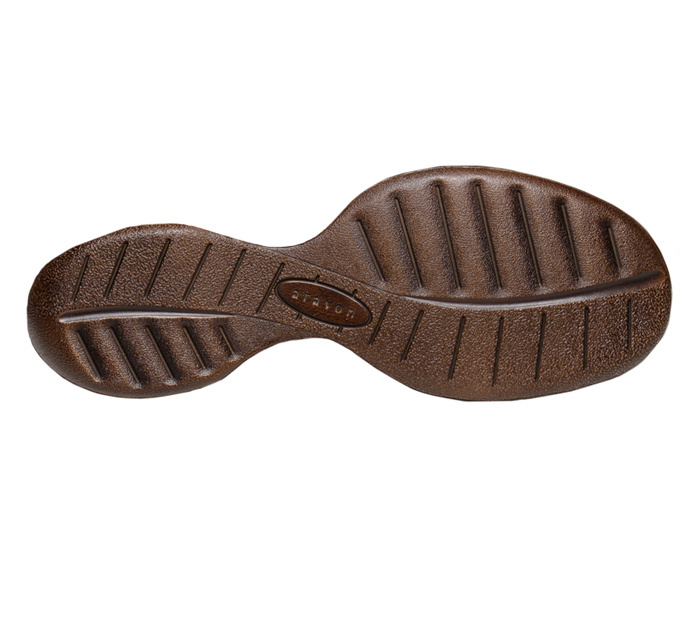 With stretchable side gores for easy fit, it features moisture-wicking Dri-Lex® linings, a removable molded EVA and Memory Foam footbed, a lightweight shank and a polyurethane wedge outsole with 1½-inch heel height. Originally $149.95. Limited stock in women's 2E width in sizes indicated.